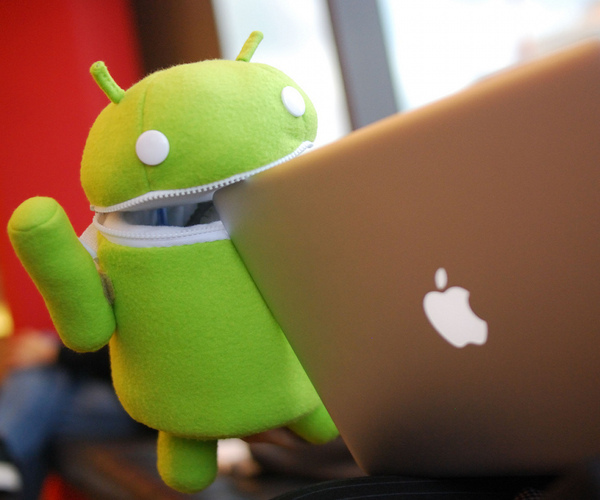 Unlike the iPhone, Android users are free to download apps from sources other than Google’s official Android Market. With Google not yet offering paid-for apps in the Android Market in all territories and some manufacturers not including access to the Market at all, alternative stores can be an attractive way for developers to reach a wider potential audience. However, are they worth trying from a user’s perspective? With the news this week that Amazon is now busy preparing to sell Android apps itself later this year, we thought we’d round up all the current alternative Android app stores that are already available. Our list includes services that sell apps directly as well as those that act as an alternative front-end to the Android Market. GetJar bills itself as “The world’s second largest app store with over 1 billion downloads to date, second only to the Apple App Store”. The store support Android, BlackBerry, Windows Mobile, iPhone and Symbian platforms. You can filter down to just the Android apps by setting your phone type in the top right-hand corner of the screen. GetJar was the first place you could download the Android version of Angry Birds, before even the official Market. The game’s developer, Rovio cited GetJar’s global reach as the reason for its choice. Other exclusive launches include the Android version of iPhone game Slice It!, while the company recently took the interesting approach of paying developers up-front for games and then giving them away to customers for free. 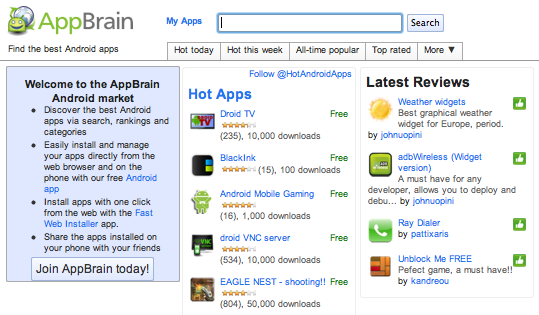 Rather than selling apps directly itself, AppBrain is an alternative way of browsing the official Android Market. 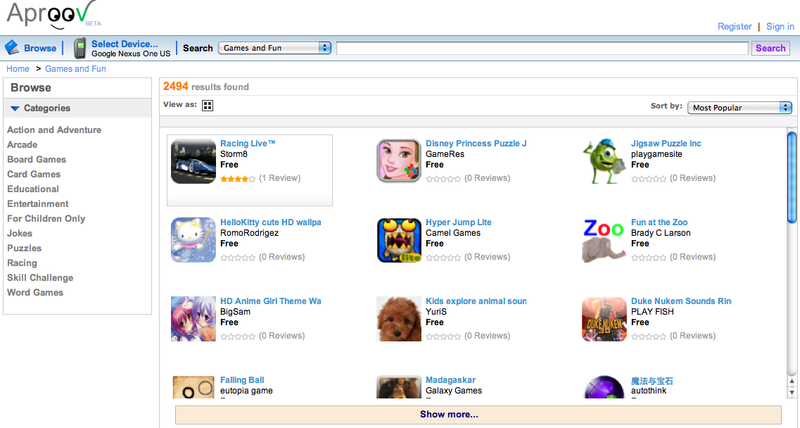 Given that Google still doesn’t have a comprehensive way of searching the Market from a browser, AppBrain is incredibly useful for hunting down interesting apps on a larger screen. Once you’ve found an app you like, click ‘Install’ on the website and the companion AppBrain app on your phone helps you through the process of installing it, including the usual payment options if required. It’s worth noting, though, that AppBrain only lists applications that are available in the US and that are compatible with Android version 1.6 and above for devices with certain screen sizes. That means that if you’re outside the US, apps you select on AppBrain may not actually be available to you to install. 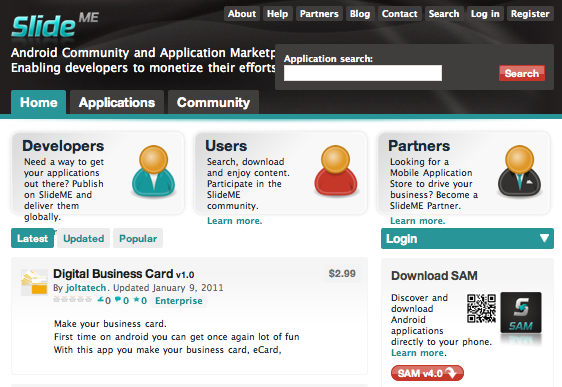 SlideME lets you browse its catalogue of apps online or via an installable app called SAM that runs the whole experience on your Android device. This market focuses on promoting the work of small, independent developers. One advantage of this is that it’s a good place for publishers to scout out developer talent early, and app developers can be contacted directly via SlideME. Free apps can be downloaded directly from the website, while those with a price attached are only available via SlideME’s app. An old hand at the app store game, MobiHand has been selling apps for a number of platforms for several years. 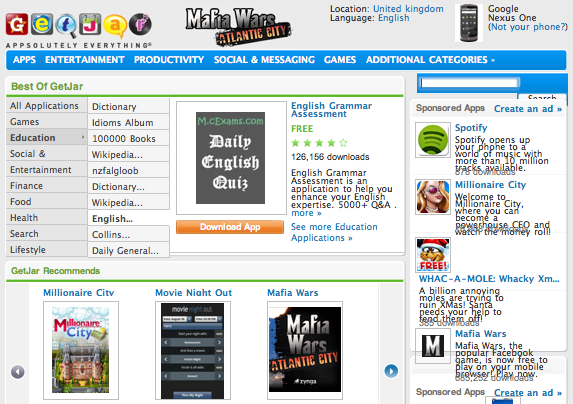 Via its OnlyAndroid store it offers a wide range apps and differentiates itself with discounted apps. 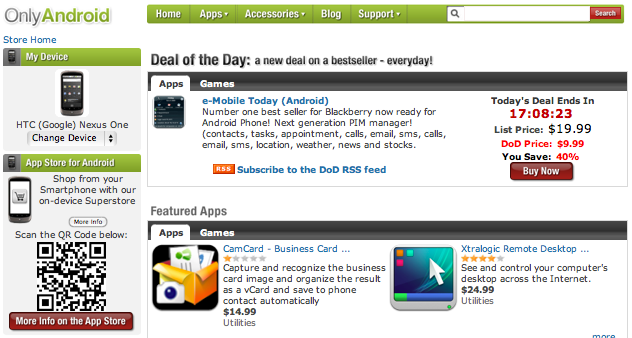 This includes a “Deal of the Day”, where one app is offered at a significant discount for 24 hours. The store sells phone accessories such as chargers and cases in addition to apps. MobiHand OnlyAndroid also offers an app to access its store from your phone. Like AppBrain, Appsfire doesn’t offer apps itself, instead acting as an alternative to the official Market. 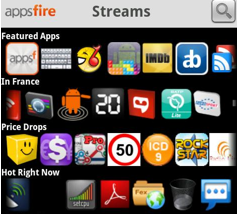 While available on the Web, Appsfire really comes into its own on your Android handset, offering smart app recommendations based on the apps you already have installed. It highlights currently discounted apps, currently popular apps on the Market and offers curated lists of top apps chosen by experts. Some apps have video previews, while a social feature lets you share your app recommendations with others. Newly launched Aproov is a Web-based app store initially focusing exclusively on free Android apps. Billed as “The way an app store was meant to be”, it takes a bare-bones approach to navigation with a list of categories displayed on the left-hand expanding to reveal a mixture of apps uploaded directly by developers and search results from the official Android Market. Customer ratings and reviews are supported and developers are able to upload videos of their apps in action, something that is promised for the future in the official Android Market. As a new store, it all looks a little sparse right now, with few user reviews or videos to be found. However, this is a store worth keeping an eye on to see how it develops. Read next: How much traffic does one tweet from Ashton Kutcher get you?